Jewel-Osco will be relaunching their at-register fundraising campaign through their “Making Change” donation program called “Change for Champions” in support of Special Olympics Illinois this July. This program will run from July 1-31 at 184 Jewel-Osco locations and customers will be encouraged to make a $1, $3 or $5 donation. 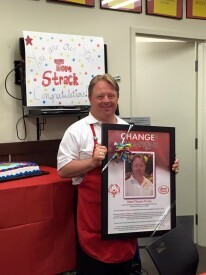 Thomas Strack is featured on the 2015 Jewel-Osco “Change for Champions” posters. 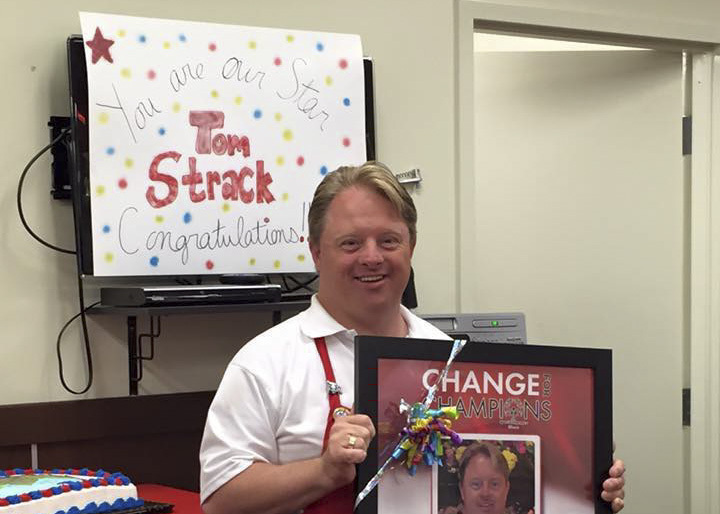 “Change for Champions” will feature Thomas Strack, a Special Olympics Illinois athlete and employee of Jewel-Osco. 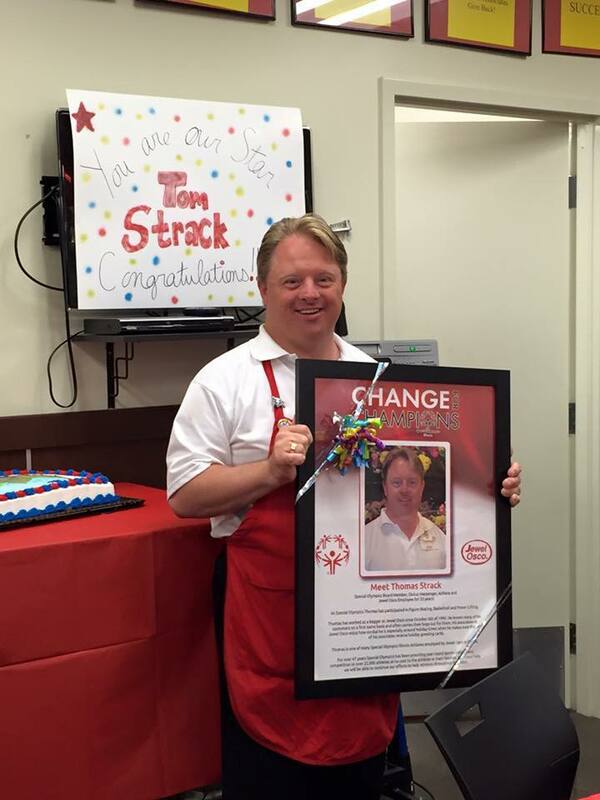 This year, Thomas is celebrating 25 years with Jewel-Osco working as a courtesy clerk/bagger in the Palos Heights store at 12803 S. Harlem Ave.
Thomas Strack served on the Board of Directors for Special Olympics Illinois for three years and is currently a Global Messenger. Thomas competes in powerlifting and basketball with Special Olympics Illinois and previously figured skated for several years. Jewel-Osco’s vision is to be the favorite neighborhood food and drug retailer in every community they serve, with helpful associates, competitive prices and high-quality, fresh products. Jewel-Osco is also the presenting sponsor of the 10th Annual Windy City Rubber Ducky Derby that benefits Special Olympics Illinois and splashes into the Chicago River on August 6, 2015. Learn more at www.chicagoduckrace.com. The money raised during this campaign will go directly to Special Olympics Illinois which benefits programs including sending athletes to the World Games in California and Project UNIFY ®. Please join Special Olympics Illinois in thanking all of the Jewel-Osco team members by stopping by your local store and showing your support. For locations in Illinois, please visit www.jewelosco.com.